Showing results for tags 'fd1'. Friends, Kindly suggest me a place to repair one of my Honda Civic FD1 - passenger side side mirror which is not folding. I can not hear any sound from the motor but the day before it stopped working, there was a rattling sound when folding.Driver side works just fine. Seems like what Stafford does is just replacing. 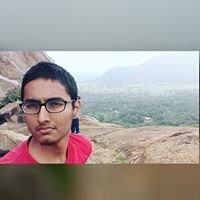 Please suggest me a place or any helpful advice. Around Colombo, Mount Lavinia. ( I searched whole forum and found few articles but failed to find a name of a place). When I start the Fd1 in the morning and put R or D, the gear engages suddenly like car is jumping. And when driving gear shifting is not smooth. But when I stop the car and start again for the second time, everything is fine and works perfectly. I changed the transmission oil and cleaned the solonoids also. Still the same issue. Need expert advice please. Finally i’m ready to sell my good old 121 (budget is okay?) and move on to something new. A close friend of mine owns an Axio Luxel 2007 model, which was imported and used by himself. He also plans to sell it and go for Axio Hybrid. I have the idea to go for that Luxel because I have driven it a couple of times and car is in mint condition, except the dashboard which needs a replacement due to the cracking issue. Also the front suspension needs repairs. Other than that the car is in perfect condition. No dents.Body and interior are perfect. He maintained the car regularly and loves it. Luxel has a good option list like tiptronic,auto parking,pre crash safety and radar cruise control (not even available in 2017 premio/allion).And also I like the 1.8l engine. The only thing that keeps me pulling away is the mileage of 112k kms. What are the running repairs I might face if i bought this? Is it a risk to buy this car instead of going for an unknown civic fd1 with low mileage? (civic might be better in terms of handling,but power wise both might be equal) Please share your valuable ideas Cheers??? Between similar speced and aged Honda Civic FD1(1.8) and FD4(1.6), which car fetches a better market price in Sri Lanka? Furthermore which car returns better fuel consumption (not that I care but I think this will have an impact on eventual market price). Modify Or Upgrade From A Honda Fit! Hey! I currently drive a GE6 Honda Fit, which I love to bits but lately feel is lacking a bit of oomph. Plus thanks to its hybrid variant has become quite a common sight on Sri Lankan roadways. I've got some money available & am wondering whether it would be wiser to try & mod my current car OR upgrade to something a bit more capable. My budget could get me a second-hand Honda FD1 or a Lancer Ex. I've read extensively that even the L15A(1.5l) engine which comes in the RS version has its limitations with performance upgrades. Mines the L13A(1.3l) version. Hence the feeling that money spent on a bigger setup would be better than upgrading an already smaller engine. In your opinion what would be the better bet. Thanks!